Order tasty food bowls of your favorite dish from the favorite restaurant nearby. 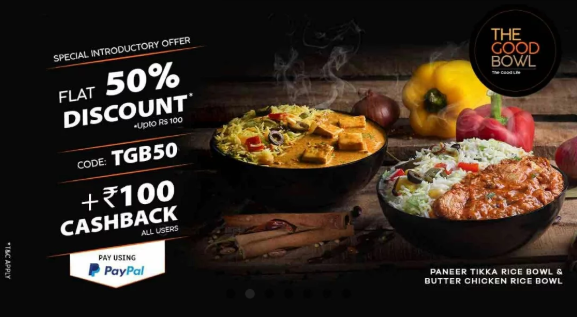 Now get food items worth Rs.200 free only at Faasos on food bowl and paying via PayPal. Start ordering now !! 9. Done !! You will get Rs.100 cashback in PayPal. Is it only for Paypal new users or all users.